I don’t know about other writers, but I always seem to have great difficulty trying to come up with the perfect title whenever I write a novel. The fact is, that if you’re already a bestselling author, with thousands of adoring fans queuing up to buy your next blockbuster before it’s even reached the end of the first draft, then the title would obviously be of lesser importance. It would still be great to have a good title of course, but not quite so imperative. The author’s name, in itself, would attract readers to the book. Lucky author! However, for somewhat lesser mortals like myself, things are different. My name is actually quite renowned, I have to say, although I admit that it is more in the context of Ozzy and Sharon and George than it is in that of Susi. But anyway, Ozzy and Sharon have the addition of a ‘u’ in their surname, so no wonder they’re on a higher pedestal than little me! So yes, for lesser known writers, the title and cover mean everything. You can have the best story ever written (in your opinion!) and a clever blurb and first sentence that are so intriguing they capture the reader in an instant, but unless the title and the cover have attracted the reader to the book in the first place, then you have lost. The cover is really down to the publisher. However, as I say this I know that if my publisher, or more particularly a certain young gentleman at the art department therein, will be gasping with shock at the words I just uttered. Okay, I admit it – I’m fussy! But it’s my book…my baby…I know what I want and… We sort of negotiate, and compromise - in a nice way of course! The title, however, is a different story (no pun intended!). The title I agonise over, it has to be just right - there’s no going back. For two of my novels I really struggled, they were completed long before anything I was happy with came to mind. I write contemporary women’s fiction – ‘emotional rollercoasters’ is probably the best way to describe them, although the humour outweighs the sadness. The first one I wrote was the story of Tom and Kate, who lived their perfect life in a bubble of happiness until one fateful day when tragedy struck. The devastation they suffered touched the lives of friends and family around them, leading to unexpected twists and turns and changes in relationships. Title? I had absolutely no idea. Until suddenly one day I heard someone on TV talking about how the ripples of life affect everything. I almost kissed the television! In my novel shockwaves from the tragedy ripple out to touch the lives of others – The Ripples of Life was born! Amazingly enough, the title of my second novel came to me in a flash of inspiration before I’d even started to put pen to paper (yes, I write longhand!). I knew I wanted to write about two sisters who had led two very different lives as a result of a mysterious separation at a very young age. Grace lives at the centre of a chaotic but happy family and cares for her mother who has dementia. When a letter arrives from her long-lost sister, her whole world is turned upside down. In a shock revelation Grace discovers why her sister has always been referred to as ‘Disgrace’. Grace & Disgrace – an obvious title really, wasn’t it?! My third novel came out very recently, 25 April this year, in fact. It actually links together my first two books to form a trilogy, although each book does stand quite happily alone and is a complete story within itself. In this third book, secrets are revealed and lies uncovered – Tom has betrayed Kate and destroyed their marriage by sleeping with her former best friend. But despite all of this, Kate still gets butterflies whenever she sees him. She knows that deep down she still loves him, but could she ever trust him again? The strong friendship Kate has with Grace shines through as they support each other…and as I hovered over the title! But there it was, staring me right in the face. 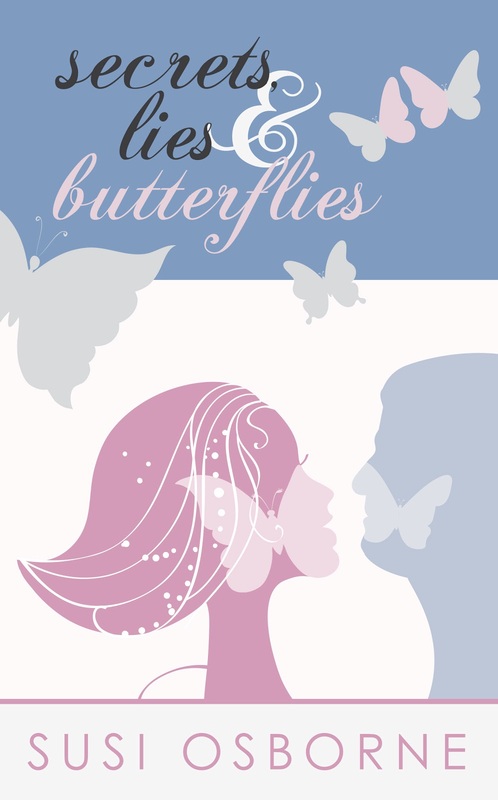 Secrets, Lies & Butterflies – I should have known it all along! are available from all good bookshops and online retailers. Susi also organises Northwich LitFest. You can follow Susi and keep up with all of her latest news on Twitter @susiosborne or Facebook on her Author Page. I don't get how it's easier to write 80k+ words of a book than a handful of words for a title! It's a great title. I know publishers are not keen, but I'm actually drawn to longer titles... ones that don't seem to make any sense until you start to read the novel. How mean. Sounds like a perfectly reasonable request to me. Sometimes I have had titles that I feel happy with before I even start writing, others, well sometimes it takes me many hours of agonising thought! It is important to get it right. I'm the same. I can write a whole book and still have no idea what to call it! I've been lucky with the latest two books and knew what they were going to be called straight away.